KWR is the Dutch research institute for the drinking water sector, their current shareholders. This collaboration has resulted in a powerful knowledge base and an extensive collective memory (> 60 years) for the drinking water sector. We develop and unlock relevant knowledge about the water cycle: from water systems to water technology and (clean) water quality. Our objective is to provide the water sector with the means to identify and effectively meet the challenges of our time: from climate change to the increasing amount of contaminants, and the growing pressure to use space intensively and for multiple purposes. KWR cooperates with other leading research institutes and partners. KWR has managed and conducted the Joint Research Programme of the Dutch water companies for more than thirty years. KWR is represented in the EIP-Water Steering Group, as well as the corresponding Task Force. KWR leads the EIP Action Groups City Blueprint and ARREAU. KWR has ample experience with the overall coordination of integrated EU funded research projects such as TECHNEAU, PREPARED and DEMEAU. KWR is founding member of ARC (Aqua Research Collaboration), GWRC (Global Water Research Coalition), and board member of WssTP (EU Water Technology Platform). KWR is overall SUBSOL coordinator. KWR leads WP1 on continuation and expanding SWS reference pilots, and WP5 on Project Coordination and Management. In addition, KWR leads T1.2 on sustainable use of freshwater lenses for agricultural water supply, T1.3 on freshwater storage in a brackish aquifer, T2.3 on storage of treated wastewater for irrigation use, and T5.1 on Coordination and Management. KWR is partner in WP1, WP2, WP4, WP4 and WP5 activities (as coordinator and WP leader). Klaasjan Raat (male) is an experienced hydrogeologist with extensive expertise in water resources management of coastal areas, subsurface water technologies, water well management, groundwater quality, emerging substances, and reactive transport modeling. His focus is on the development of practical solutions for the problems faced by water works, agriculture, industries and other water users. Koen Zuurbier (male) is lead researcher in various aquifer storage and recovery (ASR) field pilots in Dutch coastal areas with expertise in ASR design, site characterisations, and groundwater quality monitoring and modelling. Miranda Pieron (female) is researcher in knowledge networks, with a double degree in Water Resources Management and Science Communication. She has expertise in knowledge management, governance of innovations in complex multi-stakeholder processes, and development of social learning processes. Annemieke van Doorn (female) is a Geohydrologist with expertise in groundwater modelling, GIS and fresh and saltwater interaction. Pieter Stuyfzand (male) has over 30 years of expertise in the field of hydrogeochemistry, and hydrogeology, with a focus on managed aquifer recharge, coastal aquifer systems, reactive solute transport and modelling, as well as design and evaluation of monitoring systems. Gerard van den Berg (male) is an experienced project manager of collaborative international research projects, e.g. PREPARED and DEMEAU (FP7), and actively involved in DESSIN, DEMOWARE, SOLUTIONS (FP7), SEWPROF (ITN) and TAPES (InterRegIVB). He also acts as project manager for Watershare®. Gerard’s main area of expertise is integrated water resources management. ADELPHI research was founded 2001 in Berlin as a non-profit international think tank and public policy consultancy for applied sustainability science and policy analysis. adelphi carries out research projects and offers strategic advice on environmental, development and social policies and processes including in the realm of integrated water resource management, water technologies, innovation in the water sector, adaptation in the water sector, water and ecosystem services, wastewater treatment and water governance. Through targeted research, foresight exercises lectures, market analyses, conferences, publications, promotional and educational activities adelphi provides a broad audience with expert knowledge in these areas. Communication platforms, exhibitions, newsletters and social media on a variety of environmental and development issues complement this range of knowledge. adelphi´s more than 100 clients include the European Commission, international organisations, governments, public institutions, corporations and associations. Adelphi is WP 4 leader focussing on dissemination and the route to market for the project solutions and products. By analysing the market and policy environment adelphi will develop awareness raising, dissemination and communication strategies which will improve the framework conditions for reaching out to potential clients. Adelphi leads T4.3 on capacity building and knowledge sharing, and T4.4 on supporting the SWS Community and disseminating project results. Adelphi is partner in WP3, WP4 and WP5 (as WP leader). Cosima Stahr (female) is a Senior Project Manager at adelphi, where she has been working for more than five years. She specialises in projects in the fields of sustainability entrepreneurship , as well as the green economy. As a consultant, project developer and project leader, she is currently leading projects regarding climate change, green finance and clean tech innovations. Due to her focus on the private sector as an actor for sustainable development, her experience ranges from the conception and implementation of training seminars to consulting work for businesses and organisations, as well as conceptual and academic work. Ronjon Chakrabarti (male) is Scientist and Project Manager. His research and work focuses on integrated water resource management, water supply and innovative water treatment technologies, climate change and renewable energies, technology cooperation and participatory approaches. Currently, he is collaboration manager and leading scientist for the Indo European water treatment research collaboration project “ECO-India” aiming at developing energy efficient community based water supplies. He also works as a technical expert for climate change adaptation measures in the water sector and their participatory development with public and private stakeholders. Annika Kramer (female) is a senior project manager and coordinates the area of Water and Waste Water. Her work also focuses on the fields of Vulnerability and Adaptation and Development and Security. Annika has many years’ experience and considerable expertise in the integrated management of water resources and coastal zones. Her work particularly focuses on political, legal and institutional frameworks and socio-economic issues in a range of fields, conflict and cooperation in water management, and adaptation to climate change. Sibylle Kabisch (female) works as a Project Manager, primarily on topics concerning climate change adaptation, water and energy infrastructure. She acts as a technical expert and trainer for projects on water and environmental technologies, climate change adaptation, vulnerability analyses and climate impacts in the water sector, as well as energy efficiency and renewable energies. Alphafilm & Communication was founded in 1998 as an alternative to the traditional communication agencies, and is specialized in communicating science-based material, making communication strategies for information-heavy projects, and distributing knowledge to the public by the use of broad media. The main goal is to deliver a clear, strong and understandable message through the best suitable communication platform, through various types of television broadcasts, high-end films, visual web solutions, radiobroadcasts, electronic press kits and written material. They work on all platforms, from hour long broadcast documentaries, to web based broadcast, and Apps for social media. All employees in the staff hold university degrees in science, humanities, communication or marketing, which is essential for the broad understanding of scientific processes and for the knowledge of distributing possibilities. This insight gives a unique ability to communicate complicated scientific material in a way that is understandable for the stakeholders – without compromising the scientific content. The company has mostly dealt with science, natural history, environmental issues, and anthropological stories, and has produced two information films for the European Commission and numerous films for national Ministries and private enterprises. The films have been shot and distributed in several countries. Alpha Film & Communication is partial leader of communications. The company will be in charge of the development of the dissemination plans, both internal and external. The main focus will be identifying the major target groups in order to deliver the most efficient and widespread outreach. The scientific research and results of the project will be made available to the defined target groups and to the public through web solutions, high end film, teaching material specific target groups, and possible controlled materials for TV - broadcast in different countries. Jacob Bendtsen (male) is Director and Producer. MSc in media & communication and science. He has more than 15 years of professional experience in media and science story telling. He understands the power of cinematography combined with in-depth knowledge of the world of science. Carsten Meedom (male) is Project Leader and Producer. MA in Northern Philology and Literature. Has extensive experience in science dissemination and outreach. Formerly Editor at the University Extension, University of Copenhagen, and comes originally from the publishing bussiness as Editor and Publisher and owner of Forlaget Documentas. ARCADIS is a leading pure play global engineering and consultancy firm, providing consultancy, design, engineering and management services in infrastructure, water, environment and buildings. We enhance mobility, sustainability and quality of life by creating balance in the built and natural environment. ARCADIS develops, designs, implements, maintains and operates projects for companies and governments. With 22,000 people and €2.5 billion in revenues, the company has an extensive global network supported by strong local market positions. ARCADIS supports UN-HABITAT with knowledge and expertise to improve the quality of life in rapidly growing cities around the world. With a growing global footprint we connect clients to more than 2,000 water professionals worldwide. ARCADIS delivers results through an international network of locally-led teams with access to industry-leading expertise providing instant access to smart solutions, emerging technologies, custom-made approaches and high level of confidence on how best to solve the most challenging problems in water today, and tomorrow. ARCADIS is involved in WP 2 in which the robustness of SWS is demonstrated and WP 4 which focusses on increasing the market reach of SWS. Arcadis leads T2.4 on drinking water supply from salinized karstic aquifer in Florida and T4.1 on the development and application of a commercialisation and market penetration route for SWS. Marijn Kunst (male) is an experienced project manager in water related projects. He covers the whole project cycle from research, policy making, design, engineering and construction. From 2008-2013 Marijn has been Chairman of the international Grontmij Treatment Technology Group (TTG). Aim is development of new business in public and industrial water technology markets in Europe. He has experience in developing new business in Ireland, Turkey and Tunesia. Petra Ross (female) is an experienced consultant with extensive expertise in water supply and water resources management of coastal areas. She has been involved in the marketing, implementation and management of previous projects related to SWS. Her focus is on the implementation of practical solutions for the problems faced by water works. Marjolein van Wijngaarden (female) is responsible for the development of the water business in Europe for ARCADIS. She has had a leading role in the development of water business in Poland and was part of the team that put together the winning proposal for the production of flood risk management strategies for Polands largest rivers. She is also active in the field of developing a water market in Turkey, using EU (IPA) funded projects as a basis. Marjolein is also director of Ecoshape, Building with Nature. This is a consortium of 20 Dutch companies and knowledge institutes developing knowledge on sustainable solutions for hydraulic engineering. Marc Schetters (male) is a consultant water supply with a broad knowledge on water resources, re-use, sludge treatment and water treatment. He has been involved in developing business on sludge reuse and finding new ways on optimizing waste minimization. B-E De Lier is one of the holding companies of CODEMA Systems Group. It was established in the year 1959 in De Lier (The Netherlands) and has more than 50 years of experience in offering a wide-range of high quality products and solutions for the horticulture industry. B-E De Lier has 4 offices in Europe, two of them are located in the Netherlands, and the others are located in Germany and Belgium. B-E De Lier is designer, supplier, and servicer of ASR systems for agricultural use. BE will therefore maintain, calibrate, and service the ASR-coastal systems and their (Nootdorp and Westland) monitoring system in T1.3. Additionally, BE will develop, implement, and test the automated control units for the Freshmaker in T1.2. Also in T2.3, BE will be the technical designer, supplier, and servicer of the Dinteloord ASR system for storage of treated waste water. BE will provide input from an end user’s perspective in WP3. Finally, using their wide network (mainly Europe, North-America, China), BE will contribute to the market scans in WP4. Danny van den Bosch (male) is an experienced water technical advisor with expertise in irrigation systems for agriculture and horticulture. His focus is on the design of water technical systems in greenhouses and ASR systems for horticulture. Danny van den Bosch is account manager export. Etienne Borgart (male) is a project supervisor/Cad engineer for the water technical systems in the agri- and horticulture. He is now actively involved in all the current ASR installations from B-E de Lier and has a real drive to automate processes. Visit B-E de Lier B.V. The Federal Institute for Geosciences and Natural Resources (BGR) is the geoscientific center of excellence within the federal government and part of its scientific and technical infrastructure. BGR is a federal institute accountable to the Federal Ministry for Economic Affairs and Energy. BGR provides neutral and independent advice and information about all geoscientific and natural resource issues. With this, BGR supports the federal government in stimulating economic development, long-term protection and improvement of the quality of life, and enhancing technical and scientific expertise. Based on its foundation articles, BGR performs duties in groundwater, energy resources, mineral resources, soil, disposal of radioactive waste, deep subsurface use, geological CO2 storage, international cooperation, geoscientific information and fundamentals, nuclear weapons test ban and geo-hazard assessment. BGR's work is supported by a modern scientific-technical infrastructure. Laboratories, collections, equipment and technical expertise are developed and provided for executing specific projects. In addition, central technical services such as the library, public relations work and information technology guarantee documentation and target-group oriented provision of data, information and publications. BGR has around 700 employees and manages an annual budget of 60 million euro plus 13 million euros from external funds. BGR works together with leading research institutes and partners worldwide. EU-funded research projects that BGR is or has been involved in, are e.g. ULtimateCO2, COORAL, NearfieldPro. BGR will act as knowledge provider for WP3 on SWS replication tools and WP4 on Guiding the route to market. BGR leads T3.1 on developing the SWS Knowledge Base. Georg Houben (male) is an experienced researcher with almost 20 years of expertise in the field of hydrogeology and hydrogeochemistry with extensive expertise in the management of water resources in coastal areas and islands, water well management, groundwater quality, and reactive transport modeling. His focus is on applied research for both European and developing countries. He worked several years as project manager in developing countries. Sara Vassolo (female) is an experienced researcher with 20 years of expertise in the field of hydrogeology and groundwater flow and transport modeling with extensive expertise in fresh-salt water interaction, groundwater quality, environmental isotope analysis and IWRM. She has worked over 10 years as project manager in developing countries. ​The main fields of activities for the Geological Survey of Denmark and Greenland (GEUS) are geo-scientific studies, research, consultancy and geological mapping primarily covering Denmark and Greenland. In the field of hydrology, water and groundwater resources the focus is on characterization, modelling, and management of water and solute transport in the hydrological cycle, on climate change effects and adaption, and on interaction between land surface, root zone, groundwater bodies, watercourses, lakes, wetlands, and the sea. In the field of geochemistry focus is on investigations on chemical processes between soil and water phases in the unsaturated zone and in the groundwater zone, natural processes caused by human activity e.g. pollution. Investigations are performed partly for research purposes, partly as applied investigations on environmental conditions for public authorities and private clients, in Denmark and internationally. Within the topics of water resources GEUS had a turnover of 8.5 million euro in 2013 employing 72 man-years. In average 68% of GEUS staff is academic of which the female-male ratio is 1:2.6. GEUS has extensive experiences from EU-funded research projects within the field of water resources e.g. within EU framework programmes: CATALYST, NEWATER, HarmoniRiB, FOOTPRINT, MERIT, NAME and BRIDGE and regional EU research and development programmes for the North Sea and Baltic Sea regions: Soils2Sea (BONUS), CLIWAT, BaltCICA, WaterCAP, BURVAL. IN addition GEUS has wide experiences from projects funded by Danish research councils and Ministries, and it has extensive experience from cooperation with national and regional water resources authorities, waterworks and other stakeholders with the water sector. GEUS currently coordinates a project, “Water4Coasts”, in the Ecoinnovation programme of the Danish Ministry of Environment on mitigation of salt water intrusion problems in collaboration with partner institutes and universities in Brazil and China, and it supports the Danish Ministry of Environment as the current chair of the China Europe Water Platform (http://cewp.org), where continued collaboration on saltwater intrusion issues in envisaged. GEUS will act as Work Package leader for WP2 on the demonstration of the robustness of SWS and their applicability under different environmental and societal conditions, and as a Task leader for T2.1 on reducing saltwater intrusion, flooding risk and eutrophication at Falster Island, Denmark. GEUS is partner in WP2, WP3, WP4 and WP5 (as WP leader). Klaus Hinsby (male) is senior researcher in geology, physics and chemistry of the subsurface, especially in relation to water resources quantity and quality, and groundwater interaction with surface waters and ecosystems. His focus is on groundwater chemical status assessment for protection of associated aquatic and dependent terrestrial ecosystems and on uses of environmental tracers and groundwater dating (age estimation) for evaluation of groundwater flow and groundwater age/quality relations. Per Rasmussen (male) is senior adviser in variable density groundwater modelling and near-surface geophysical borehole logging. He also has experience in stakeholder involvement and use of Bayesian Belief Networks and special knowledge and experience in design, establishing and running of groundwater monitoring systems including integrated monitoring and modelling of small catchments. Torben O. Sonnenborg (male) is senior researcher in hydrogeology and hydrology, and adjunct Professor at University of Copenhagen, with special focus on the impact of climate change on the hydrological system. During the last 10 years he has focused on the effects of geological heterogeneity on flow and transport in heterogeneous geological formations including flow and transport in fractured porous media and buried valleys, automatic parameter estimation, groundwater protection and uncertainty, catchment scale groundwater and hydrological modelling, and evaluation of the large-scale impact of climate change on the hydrological system including seawater intrusion, and assessment of uncertainty of climate change projections. During the last six years his research has focused on the impact of climate change on groundwater, surface water, flooding, and leaching of pollutants. Rasmus Jakobsen (male) is senior researcher and specialist in groundwater geochemistry and reactive transport modelling of processes in aquifer systems using PHREEQC and PHAST. He has worked extensively with the biogeochemistry and thermodynamics of redox processes in aquifer systems and participated in several projects focused on groundwater-seawater interactions and the associated geochemistry. Experienced in many aspects of hydrogeology including fracture flow, tracer experiment, stable isotopes, drilling, sampling, determination of hydraulic parameters, and near-surface geophysics. Helle Sø (female) is scientific researcher in groundwater geochemistry and modelling of processes in aquifer systems using PHREEQC. She has worked extensively with groundwater geochemical processes, especially inorganic processes in carbonate aquifers. She is experienced in geology and hydrogeology and in combining the different fields of expertise to obtain an integrated understanding of an aquifer system. In the recent years she has worked on several projects in close collaboration with geologists and hydrogeologists in mapping groundwater vulnerability in different parts of Denmark. 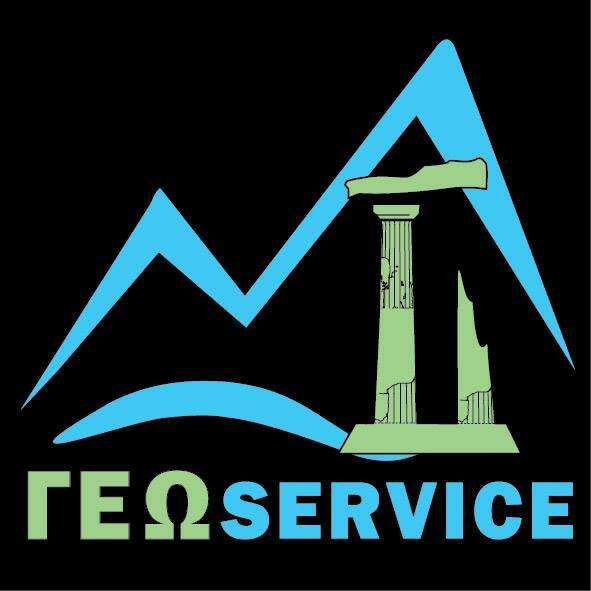 ​GEOSERVICE is a private company in Greece, active in the domain of geophysics from 1990 until today. It is a services based company that employs five persons dedicated to activities in the field of applied geophysics, geotechnical applications and all related to the earth’s subsurface investigation methods. GEOSERVICE is the company that introduced in Greece the geophysical methods in an active and useable role. It has provided consulting services to the Greek Government many times on standardizing most of these modern geophysical methods in Greece and especially to the Ministries of Environment, Ministry of Development and Agriculture. Such services included the standardization of the Geophysical Well logging method, the Very Low Frequency method, the Ground Penetrating radar method and the Electric Resistivity Tomography method. Additional services to National level (Ministry of Environment) have been provided from the company in the domain of sustainable groundwater management in order to harmonize the nation to the EU Directive for the water management (EC 2000/60). In the domain of groundwater management, GEOSERVICE has realized more than 700 projects in all Greece, ranging from small services on water prospecting to major projects for potential water providers such as the major water provider of Greece (EYDAP SA) and Thessaloniki (EYATH SA). Due to their continuous implication within the FP framework since 1999, the company has installed a continuous flow of hi tech knowledge gained from this higher level provider of technology in Europe, to the specific end-users in Greece. Geoservice is partner in WP2, WP3 and WP4. Geoservice will setup the SWS solution for the Schinias pilot (T2.2), including all fieldwork and associated infrastructure. Klisthenis Dimitriadis (male), Geophysicist, is the CEO of GEOSERVICE. Born in Athens (1958) he has finished his studies in Paris, France (Master of Sciences in Applied Geophysics and Geochemistry) at the University of Pierre et Marie Curie (PARIS - Jussieu). He started his career in 1988, working for GEOTEST HELLAS in a geophysical project in Lesvos Island, Greece in the domain of geothermal resources geophysical prospecting. In the years 1990 he has created the company GEOSERVICE and worked in the company until today. He has a strong field experience of more than 20 years in geophysics, in all methods and in particular in Geophysical Well Logging and Ground Penetrating Radar. Mike Styllas (male), Geologist, has dealt with sedimentary dynamics on fluvial and coastal systems. His research both during his Masters (MSc, Oregon State Univ. – College of Oceanic & Atmospheric Sciences, USA) and PhD thesis (Aristotle Univ. of Thessaloniki, School of Geology), involved the study human impacts on coastal and deltaic systems during Holocene. Emmanuel Panagiotopoulos (male) is well logging engineer with extensive experience in mud logging operations has also the lead in the domain of public relations of the company, with 20 years of experience in modern promotional concepts and marketing methods. Pepi. Avlonitou (female) is an expert in database management. She has experience in handling geophysical datasets (geophysical well logging records, pumping tests, electrochemical analysis measurements etc). She is responsible for the data collection, digitization of recordings, excel spreadsheets etc. 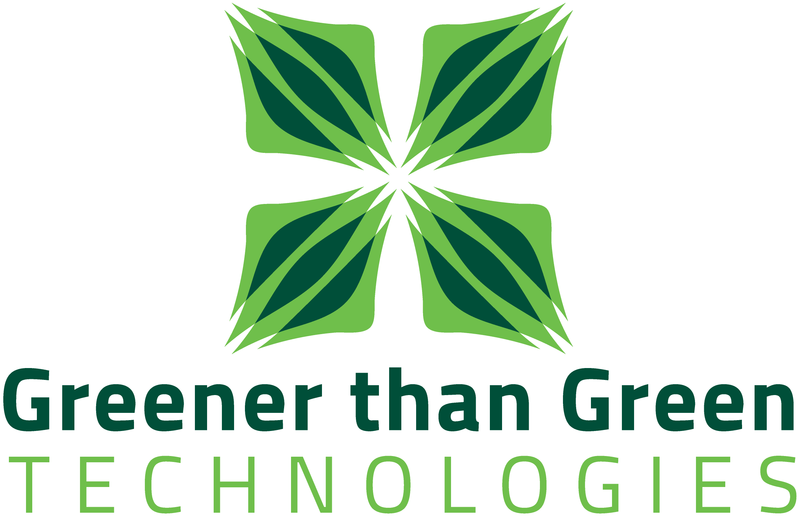 ​Greener than Green Technologies S.A. (GtG Technologies) is a startup business that sprung out of university pioneered research on water treatment technologies and private funding. It's primary targets are (i) to scale up and commercialize already developed laboratory based techniques for water treatment as a standalone process or coupled to existing processes, (ii) the identification, extraction, isolation and commercialization of value added/high interest compounds from organisms (e.g. plant, animal, microbial) or from industrial, agricultural or residential waste. Through collaborations and private-public partnerships (PPP) GtG Technologies is seeking develop and promote tools that ultimate lead to the reuse of resources and minimization of waste. GtG's board of directors, personnel and shareholders involve highly trained people in the fields of chemistry, chemical process, chemical analysis, water technology and treatment, separation and purification science, process streamlining, engineering, management, venture capital, rendering it a strong and self-sufficient entity. GtG Technologies is partner in WP2, WP3 and WP4. GtG provides, sets up and operates the treatment solutions of the Schinias pilot (T2.2). GtG Technologies will design and implement the necessary Subsurface Water Solution (SWS), in order to pump and treat water from the lower karstic aquifer into the upper layers of groundwater, re-supplying water to the wetland and creating a freshwater barrier to saltwater intrusion, through the recharge of the upper groundwater layers. Moreover GtG will introduce novel pollution remediation techniques for the pumped water, including Reverse Osmosis (RO) coupled with Advanced Oxidation Methods (Ozonation/UV) in order to ensure the recharge of the aquifer with pure and desalinated water. These techniques will be remote monitored and operated, so as to be tested and applied in similar remote locations. Dimitri Iossifidis (male) is the president, CEO and founding member of GtG Technologies, vice president, customer support manager of Malva S.A. and sits at the board of directors of Iota Omega Ventures plc. His expertise lies in the fields of chemistry, chemical analysis, customer assurance, management and venture capital and has extensive experience in research on microchip based microfluidic devices of chemical and biochemical analysis. C. P. Iossifidis (male) is the vice president, CEO and founding member of GtG Technologies, president and CEO, of Malva S.A. and is the director of Iota Omega Ventures plc. A Life Science & Medical devices entrepreneur who combines current knowledge & Practices and Techniques in Industrial Pharmaceutical context, Medical Devices and R&D, proven in Sales and Financial Management. He combines successful involvement in project design and delivery in the pharmaceutical industry and academia as well as strong knowledge in Major Programme Management issues. Erasmia Bizani (female) is founding member of GtG Technologies and works in the Chemistry Department of National University of Athens as Special Research and Teaching Personnel. Her expertise lies in the fields of chemistry, chemical analysis with specialisation in environmental applications, water treatment methods and has extensive experience in research on Advanced Oxidation Processes for water and wastewater treatment..
NTUA is the oldest and most prestigious Engineering School in Greece. NTUA will participate with two expert teams (i) The Laboratory of Hydrology and Water Resources Management of the School of Civil Engineering is a centre of excellence on water resources analysis and urban water systems management with active role at both national and European levels. Of particular interest to the Laboratory is the domain of Hydroinformatics and the modelling of the complete socio-technical urban water system. The Laboratory is a member of European Networks, such as EurAqua and WSSTP and part of the European Topic Centre for Water (ETC-Water) of the European Environment Agency (EEA) (ii) The Laboratory of Engineering Geology and Hydrogeology of the School of Mining and Metallurgical Engineering with extensive expertise on groundwater monitoring and modelling, managed aquifer recharge and water quality modelling. NTUA will lead WP3 on SWS replication tool development (based on its extensive experience in on and offline tool and DSS development – see FP7 TRUST, iWidget and PEARL below). NTUA leads T2.2 on coastal ecosystem protection and agricultural water supply at Schinias, Greece (linked to both DESSIN and MARSOL inno-demo projects – see below), T3.1 on developing the SWS Knowledge Base and T3.2 on developing the SWS Toolkit. NTUA is partner in WP2, WP3, WP4 and WP5 (as WP leader). Christos Makropoulos (male) is an Assistant Professor in Hydroinformatics in the School of Civil Engineering of the National Technical University of Athens. He is a Visiting Fellow in the Centre for Water Systems of the University of Exeter, the co-Editor in Chief of Urban Water Journal and a member of the Editorial Board of the Journal of Hydroinformatics. Dr Makropoulos is an expert in hydroinformatic tools and methods for urban water management with an emphasis on distributed water infrastructure and whole city modelling. His work focuses on risk analysis, uncertainty quantification, multi-objective evolutionary optimization, decision support and long-term policy scenario development. He has authored more than 100 journal and conference papers and book chapters and is a reviewer for 15 academic Journals. He is a Fellow of the UK Higher Education Academy and a Fellow of the Royal Geographical Society. Andreas Kallioras (male) is a Lecturer in the School of Mining and Metallurgical Engineering (Aquifer Management, Protection and Exploitation), Guest Fellow at the Helmholtz Environmental Research Centre-UFZ (Leipzig, Germany) and visiting Lecturer at technical University of Darmstadt, Institute of Applied Geosciences (Darmstadt, Germany). He is an Environmental Engineer and his scientific activities and interests include hydrogeology of coastal aquifers (with emphasis on seawater intrusion); development of innovative field techniques to quantify groundwater recharge; groundwater resources management; transboundary water resources management. He has been involved in groundwater resources investigation projects in Greece, Germany, Saudi Arabia, Tunisia, Madagascar, and Bangladesh with published peer-reviewed articles in more than 15 journals, 25 conferences and 3 book chapters. He is the field coordinator of TERENO-MED (Terrestrial Environmental Observatories in the Mediterranean region (http://www.terenomed.net), an initiative of the two Helmholtz Centres UFZ and Jülich (Germany). Klio Monokrousou (female) is a Physicist (NKUA, Greece, 2001) and a Civil Engineer (DUTh, Greece, 2010) with an MSc in Environmental Technology (Imperial College London, UK, 2002), and currently a PhD candidate at the Democritus University of Thrace. Klio has fifteen years of experience in research and consultation, mainly focusing on water resources management, environmental and water policies, Geographic Information Systems (GIS) as well as urban planning and environmental impact assessment studies. She has been working as a research associate at NTUA, in the Water Resources and Environmental Engineering Department and has been actively involved in different EU programmes as project manager or external expert: ABOT, STEP-WISE, MEDDMAN, SPI-Water, ETC/Water, IWRM.Net, FLOODMED, FLAPP, etc. She has contributed in policy development process: familiarization with EU and national policies to bridge the gap between science, policy and industry and has more than 10 publications in scientific journals and conference proceedings. She has worked in the NGO MEDITERRANEAN SOS Network (MedSOS) acting as a water resources coordinator with numerous activities such as national policy issues, monitoring and evaluation of river basin management plans, public consultation processes, raising awareness, dissemination, training and education on water related issues. She has participated in numerous workshops and conferences with significant expertise on developing participatory approaches addressing to the civil society and other stakeholders. George Karavokiros (male) is an expert in Hydroinformatics, Database Design and Network Modelling. He has particular expertise in monitoring and management of environmental data. Over the past 24 years he has proven his ability for interdisciplinary teamwork by contributing to or leading software development projects in the fields of water resource management, urban hydraulics and transportation for both industry and research institutions. His solid theoretical background enabled him to transform innovative methodologies and mathematical models into successful software products. In the last three years he has participated in key positions in two FP7 projects (PEARL, EU-CIRCLE), one Life project (FLIRE) and two projects of the Greek General Secretariat for Research and Technology (ALPINE, CRESSENDO). In the period between 2009 and 2014 he was water quantity data manager of the European Topic Centre on Inland, Coastal and Marine Waters (ETC/ICM), supporting European bodies (EEA, EUROSTAT). Mr. Karavokiros holds a degree in Computer Science from the University of Karlsruhe, Germany. ​As an engineering consulting company, Orbicon is a knowledge-based enterprise, which delivers integrated and sustainable solutions in the areas of environment, nature, supply, installation and construction. We work with some of today’s great challenges that our society faces, such as climate, energy, infrastructure, supply, buildings and working environment. Orbicon has since 1965 been active internationally in relation to natural resources projects and environmental issues. The company has completed consultancy services and projects in more than 40 countries in Africa, Asia, Europe and Latin America. The gained experience worldwide has provided the company with a unique qualification in the fields of our competences. Orbicon employs 475 dedicated people with a wide range of specialities and with different professional backgrounds. The variety of professions ensures high quality in the solutions of projects with high complexity. Orbicon provides consultancy services related to all phases of the project cycle, from project identification and design over appraisal and feasibility studies to tender evaluations, implementation and monitoring inclusive project management and financial analyses. The Company has through high performance and professionalism, been able to pass value to a wide range of clients, i.e. local, regional and national authorities, EU, donor organisations, international banks and funding agencies, industries and governments. Management of our water resources is a major focus area for Orbicon. Orbicon invests in innovation and is very engaged and dedicated into development of new approaches and technologies. Orbicon is an active partner in several major domestic innovation-programmes and projects, as well as R&D projects in Europe and further abroad. A major underlying but important task is concurrently to bring innovative ideas into market in order to benefit end-users and society. Orbicon is partner in WP2, WP3 and WP4. Orbicon acts as partner in T2.1 (the Falster demonstration pilot). Susie Sinding Barfod (female) is head of the water supply department and has more than 15 years of experience as project manager. Her technical expertise is within well fields, and she is concurrently involved in bringing an innovative product (uGraph Water Abstraction), concerning optimizing well fields operations in terms of energy, sustainability and quality, into domestic markets and abroad. Henrik Andersen (male) is team leader of well field and catchment group in the department of water supply in Orbicon and senior project manager with more than 15 years’ experience in design and practical establishing well fields. Henrik is expert in geophysical investigations both well logging and mapping as well as the combined use og geological, hydrological and geophysical knowledge and data in term of water extraction. Anette Andersen (female) is senior project manager. Anette has more than 20 years of experience with studies and risk assessment for groundwater and recipient, risk of point sources, assessment of water chemistry and development of structure plans for water supplies. Anette has extensive experience in project management, teaching in engineering college and knowledge of legislation. ROBOTEK Gruppen A/S is a leading Electrical Installation and Engineering Service provider dedicated to develop, manufacture and install integrated Scada solutions. We design Scada systems and build control panels for a wide range of applications ranging from sterile facilities to water supply plants and waste water treatment plants. Our solutions range from small relay interface panels to large scale process control consoles. We provide all associated manufacturing, installation and maintenance services required to provide turnkey projects when it comes to electrical installations as well as installation utilizing pneumatic, mechanical or hydraulic devises. Our solutions are designed and built to provide functionality, efficiency and reliability. Twenty years of working with water supply and waste water treatment plants has provided us with a thorough understanding of the challenges and inspired us to the ROBOTEK concept, a concept which is prepared for the future in water plants. Robotek acts as a Scada supplier in the demonstration project in Denmark (T2.1). Robotek do desk-research of possibilities regarding measuring equipment and sensors and a proper approach to monitoring points in SUBSOL solutions. This to be conveyed to WP3 and WP4. Carsten Nielsen (male) is head of Blue Control projects department and has more than 25 years’ experience as a project manager in many water plants projects. Nicolaj L. Jørgensen (male) is an electrical engineer from DTU, and has more than 3 years of experience in Scada designs, control engineering and instrumentation within the fields of mechanical electrical and hydraulic systems. Gert Vesterlund (male) is CEO and head of the Blue Control department with more than 25 years of experience in leading electrical Installation and engineering solutions. Speaker at “Danish – Chinese partnership” conference about water systems. ​The DBT is an independent and non-profit foundation and is representing Denmark in the European Parliamentary Technology Assessment (EPTA) network of institutions giving advice to National Parliaments on possible social, economic and environmental consequences of new developments in sciences and technology. The DBT specialises in interactive methodologies, involving multi-disciplinary research, stakeholder involvement, citizen participation, public communication and policy advice for decision-makers at the local, regional, national, European and global level. Especially in the domain of involving stakeholders and citizens in dialogue-based processes, the DBT is internationally recognized as a frontrunner of praxis. The DBT’s method toolbox includes Scenario Workshops, Future Labs, Future Search Conferences, Voting Conferences, Citizen Hearings, crowdsourcing, Interview Meeting, Consensus Conferences and multi-site citizen participation processes. Focusing on issues that are often socially contested, the Board has initiated and guided a number of important deliberation projects. It has raised awareness on issues such as biodiversity, biotechnology, the safeguarding of drinking water supplies, innovation, transport, energy, climate change, disaster preparedness, and sustainable development. It has been one of the main initiators of the national Danish debate about climate change adaptation, in which it has been engaged since 2002. The DBT has many years of experience as coordinator of international projects, e.g. the DBT has coordinated European projects under PF5 (EUROPTA), FP6 (CIVISTI), and FP7 (PACITA, Engage2020, DESSI). Furthermore, the DBT has participated as partner and WP leader in several other European projects (BASE, SurPRISE, Meeting of Minds, PATH, BaltCICA, TAMI, CASI, Res-AGorA). The DBT also coordinated the two first-ever global citizen consultations; World Wide Views on Biodiversity (2012) and World Wide Views on Global Warming (2009). DBT participates in WP3 and WP4 and leads T4.2 on improving framework conditions for innovation. DBT brings in and carries out participatory Technology Assessments for the SUBSOL replication pilots. Lars Klüver (male), is Director of the DBT and has a status as international expert in dialogue methodologies. He has a huge international network and has been scientific advisor on a multitude of national and international research, foresight and deliberative activities. He has been the coordinator of several FP5, 6, and 7 projects. Bjørn Bedsted (male) is the Head of DBT International. He has led numerous Technology Assessment projects in various fields, and he has worked in the field of climate change adaptation since 2002 He was global coordinator of the two World Wide Views projects (global citizen consultations on climate change and on biodiversity) and has participated in several FP7 projects. He was also a part of the INTERREG climate change adaptation project BaltCICA and is currently involved in the FP7 projects BASE, CASI, and Res-AGorA . Soeren Gram (male) has a broad competence in stakeholder involvement and citizen consultation methods regarding management of natural resources and has led several international environment projects, recently on climate change and biodiversity. He has participated in several FP7 projects and the INTERREG BaltCICA project, and is currently involved in BASE. Jørgen Madsen (male). Possesses a long and varied experience in planning and designing communication campaigns to different media based on detailed target group analysis. He has been working at the Danish Broadcasting Corporation and has produced cross border radio and TV communication for scientific, educational and documentary themes within a long range of EU-science and dissemination projects. ​UBITECH is a leading, highly innovative software house, systems integrator and technology provider, established to provide leading edge intelligent technical solutions and consulting services to businesses, organizations and government in order to allow the efficient and effective secure access and communication with various heterogeneous information resources and services, anytime and anywhere. UBITECH enables real-time valid information processing and decision-making, the realization of intelligent business environments, and B2B and B2C transactions by providing high added-value business –oriented and –based solutions. UBITECH has been established in Athens, Greece back in 2005, concentrated initially in the Greek and Balkan market and acquiring several EC and national grants for novel R&D initiatives. Currently, UBITECH has extended its operations with targeted international activities through its affiliated companies, subsidiaries and offices in Limassol (Cyprus), Madrid (Spain) and Buenos Aires (Argentina), concentrating mainly in the Spanish-speaking countries of Central and Latin America. UBITECH performs applied research in the areas of Semantic Web, Linked Data and Open Data technologies, ontology-based applications development, software and services engineering, social networks and collaborative working environments, big data management, enterprise application integration, business Interoperability, dynamic data mediation, alignment and ingestion, autonomous computing, sensor networks, natural language processing, opinions and arguments modelling and extraction, sentiment analysis, RFID-based middleware technologies, Cloud computing and interoperability, and Cloud services brokerage. UBITECH has a strong a focus on the integration and interoperability of information technology solutions and applies its research results to solve problems in various application-oriented projects. UBITECH is partner in WP2, WP3 and WP4. UBITECH is going to actively contribute in WP3 on the development of the SUBSOL knowledge base (T3.1) and the SWS toolkit (T3.2, including the development of semantic modeling and knowledge extraction tools (based on its experience in relevant projects). UBITECH will also contribute to the design and deployment of the ICT infrastructure (network, smart meters, centralized computing infrastructure) for the Schinias (GR) demonstration case (T2.1). Anastasios Zafeiropoulos (male) received his Diploma-Ing. and his Ph.D. degree from the School of Electrical and Computer Engineering of NTUA. He also holds a M.Sc.degree on Public Policy and Management from the Athens University of Economics and Business. Currently, he is a Senior R&D Architect focusing mainly on the design and implementation of innovative technical solutions on the fields of ad-hoc and sensor networking, energy efficient mechanisms, P2P networking, context aware and IPv6 protocol technologies. He worked as a Senior Project Manager in the Greek Research & Technology Network (GRNET) where he was responsible for the Green IT activities while he also interacted with multiple parties at various levels and coordinated national and European research projects. He has also worked as an associate researcher in the NTUA. Panagiotis Gouvas (male) graduated from the School of Electrical and Computer Engineering of the NTUA. His Diploma Thesis was in the area of Mobile and Personal Communications (Location Based Services in Wireless LANs). He worked as software developer in the company European Profiles S.A. In 2004 he started his PhD in the Information Management Unit of the School of Electrical & Computer Engineering at NTUA in the area of autonomic service computing. His interests lay in the field of Autonomic computing, post-SOA Architectures and Grid Computing. From 2006 he works as R&D director in UBITECH. He actively contributes in the standardization committee of Autonomic Future Internet (AFI) organized by ETSI, and he is a Member of Technical Committee of OASIS Cloud Application Management for Platforms (Schema CAMP) led by Oracle and Red Hat for the formulation, creation and standardization a Cloud Platform-as-a-Service Management API. Eleni Fotopoulou (female) received her degree in Computer Engineering from NTUA. Her Final Project has been a collaborative project which was organized by the UPC (Universitat Politecnica de Catalunya) and funded by the Centre for Cooperation CCD-Centre de Cooperacio per al Desenvolupament. Ms. Eleni Fotopoulou is currently working as a senior software engineer at UBITECH Ltd (in various projects that are mostly developed with J2EE and Web 2.0 technologies) participating in R&D and commercial projects (e.g. LinDA FP7 project) which are focused on business issues, linked data analytics and semantic interoperability. Her research interests are in the field of Web security , interoperability and semantic technologies, while the last year has worked in various projects (ICCS-CIEC Data Exchange Platform of Civil Status Documents for the European member States, PISD - Data Exchange Platform of Civil Status Documents for Argentina, LinDA). Vitens is the largest drinking water company in the Netherlands. Vitens serves 24/7 fresh drinking water to 5.4 million customers and companies. Fresh groundwater is the only source for producing the high quality drinking water. Ground water is extracted from 107 well fields with capacities ranging from 100.000 to 15.000.000m³/year. Vitens wants to produce drinking water sustainably in order to actively contribute to improving the living environment. Our environmental policy is intended to reduce our burden on the environment as much as possible and to prevent it completely where possible. A large drinking water company such as Vitens is continually working on knowledge development. Vitens also works closely together with knowledge institutes, government bodies and the business sector. Continuous innovation means we can keep the quality of the drinking water as high as possible, both now and in the future. Besides this, we continue to work on improvements related to water extraction, our treatment processes and distribution, so that our water retains this high standard. Vitens is partner in WP1, WP3 and WP4. Vitens leads T1.1 on counteracting salinization for sustained drinking water supply at Noardburgum, the Netherlands. Ate Oosterhof (male) is a senior hydrologist with 15 years of experience in groundwater exploration, water well management and ground water monitoring techniques. Nico Wolthek (male) is a senior process engineer with extensive expertise in water purification processes, membrane techniques and water treatment design. Renske Terwisscha van Scheltinga (female) is a hydrologist with expertise in water quality and groundwater modelling.